The Cincinnati Reds have the 9th best farm system in baseball according to Joel Reuter of Bleacher Report. Reuter breaks down each organizations Top 10 prospects, grading them into three tiers of player. Tier 1: Prospects who have an elite skill set and legitimate All-Star potential. These are the guys who would receive consideration for a spot on leaguewide top-100 prospect lists. Tier 2: Prospects who have a good chance of becoming at least a contributor at the MLB level. This is where most prospects on the following list will fall. Tier 3: Prospects who profile as fringe MLB contributors or young prospects who are still too raw to project any higher. Having one of these players ranked among your top 10 prospects is a good indication of a thin system. His Top 10 list includes the same players as the other national lists, as well as my own. It would seem that there’s a very strong consensus as to who the Top 10 guys are in the organization. The order of those 10 guys does, however, seem to be up for debate a little bit. The top five players on the list were all graded as “tier 1” players. The next five were all given the nod as “tier 2” players. Nick Senzel might be the safest bet of any prospect in baseball to turn into a perennial All-Star. He’s done nothing but hit since going No. 2 overall in the 2016 draft, posting a .315/.393/.514 line with 64 doubles and 21 home runs in 797 plate appearances. Don’t be surprised if the Reds are trying to figure out what to do with incumbent third baseman Eugenio Suarez by midseason. I’ll forgive him for not being aware that the Reds have publicly stated that the plan is for Senzel to try out other positions because Eugenio Suarez is the third baseman. That doesn’t necessarily mean that the Reds won’t be looking for other options with Suarez moving forward, but at least based on what we know, that doesn’t seem to be the case. 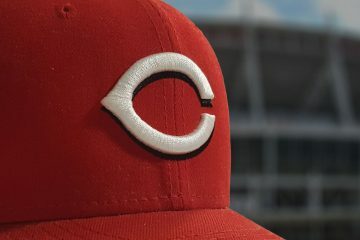 How do the Reds stack up to the rest of the National League Central in the eyes of Reuter? Well, let’s take a look. Second in the division, just behind the Brewers and just ahead of the Cardinals. That’s not bad for a team that graduated more than a few high ceiling prospects in the 2017 season. I’d be very surprised if the system didn’t graduate three of their top five prospects this year, too. Jesse Winker needs a few at-bats to graduate. Tyler Mahle needs six or seven starts worth of innings to graduate, and while Nick Senzel hasn’t made his debut yet, it’s tough to imagine that he doesn’t get 130 at-bats this upcoming season. This is all just one guys opinion, but it seems about right, at least in terms of where the Reds fall. Personally, I’d switch up a few other team rankings along the way. For example, the Blue Jays system is ranked 10th. I’m a “rank a system because it’s top heavy” kind of guy, and they’ve got two of the very best hitting prospects alive in their system. Vladimir Guerrero Jr. and Bo Bichette should lead to a better ranking in my mind than 10th. End of the day, though, it doesn’t matter much. It’s for fun and to generate discussion. The Reds have good depth. They are strong at the top with two Top 25 caliber prospects in Nick Senzel and Hunter Greene. Beyond that they’ve got another 2-3 guys that are Top 100 caliber guys today with Mahle, Trammell and Winker. The next tier is full of 100-200 caliber guys, and outside of the Top 10 is a large group of young, upside types who are unproven mixed in with lesser upside, but more polished advanced guys. Is Bob Castellini holding back the Cincinnati Reds? Agree w top 4. 5 I got Tampa and reds/dodgers in that 6/7 range. Not real impressed w Brewers or Phillies. Been saying it for a while but it’s over w for the Cubs. They traded away everyone and are getting older with a bloated payroll. Reds have graduated a ton of top talent yet remain in top 10 for several years in a row now. That’s great for the organization! So many 25 and younger guys on the big league roster too! Alot to be excited about but also still alot that needs to go right. The Cubs core offensive players are young so still many years left. They also have money so can buy pitching. Top 10 system this year and hopefully a top 5 system next year. A lot would have to go right to be a top 5 system next year with Senzel, Winker, and Mahle likely graduating off the prospect lists. The Reds would have to hit a home run with their #5 draft pick and have that guy show up big immediately. I agree that logic dictates that if the Reds lose 3 of their top 5 they should move down the rankings and not up the rankings. I have two point that explain why I think this is not true. First, the Reds should lose 3 of their top 5 prospects. This will leave them with two prospects rated B+ or better by Sickels (Assuming he rates Trammell and Greene as B+ or better). But we have to also consider that many other prospects will be in the show a year from now. Look at the Yankees for example Gleyber Torres, Chance Adams and Miguel Andujar will surely lose prospect status. Sickels predicts Justus Sheffield and Domingo Acevedo will also be called up. That is 5 of their top 6 (leaving only Estevan Florial as a B+ or above rated player) and if you go further down he predicts 3 of the next 7 getting the call at some point in 2018. Similarly, the Dodgers will only have one B+ player next year. So both these two team will have one player currently rated B+ or better eligible for prospect status next year. I think both Trammell and Greene will be B+ or better. Sickels expects 6 of the top 8 Braves to get the call in 2018. Of course that still leaves them with 4 B+ players so they should still be ahead of the Reds. Sickels has not ranked the remaining teams ahead of the Reds but I would expect most of the Tier 1 players listed here for the Brewers and Rays t make the majors in 2018. 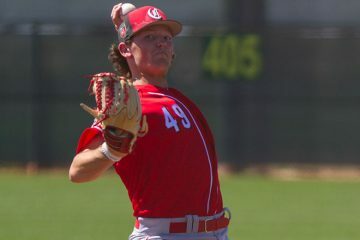 •	Trammell improved dramatically as the year went along and I have no doubt he will succeed next year as well moving into the top 50 and hopefully into the top 25. •	Siri has done well this winter against better pitching than he will face come April. The K’s still scare me but I think he moves into the top 100. •	I feel 2017 was a shake the rust off year for Gutierrez. I think he moves into the top 50 in 2018. •	The Braves took Wright at 5 last June and he is a top 50 prospect. Next year’s draft is supposedly deeper so I see at least a top 75 pick where the Reds pick. •	I think Shed Long gets back on track and moves into the top 100. •	Four players at Billings last year (Downs, Gordon, Sugilio and Fairchild) were pretty good and although I don’t see any of them being top 100 prospects at this time next year they could be knocking on the door and who knows maybe they will be like Trammell was in 2017. •	Jose Garcia is a wild card. •	Stephenson needs to stay healthy and pitching in the FSL can not be a bad thing for Santillian. •	Jose Lopez did pretty good last year and if he can match that and not make the show he could be a top 100 prospect too. Sure fire Tier one players for the Reds in 2018: Greene, Trammell and the 1st pick in the draft. Players with a chance to crack Tier 1: Downs, Garcia, Santillian and Stephenson. Players with an outside chance to crack Tier 1: Lopez, Fairchild, Sugilio and Gordon. I think 6 – 8 Reds will be top 100 prospects next year. Best class in the history of the Reds. The Cubs can print money. I don’t think it’s over for them for a while. The signings they are making this year don’t reflect that as much and they are crippled by Hayward contract. Also a lot of comp w deep pockets- giants, both LA teams, yanks, Phil’s, Red Sox’s, and Mets can spend whatever. Then there’s another 6-8 teams who almost can. There’s not that many players to sign…. If this version of reds can grow and sustain a money ball type program they will be competing w cards for most in division and Braves and dodgers in NL. The Cubs have some of the smartest front office guys in baseball and almost unlimited resources. I feel pretty good saying that they’ll be alright for quite a while. I thought so too til I saw the moves Epstein has made over last couple years. Hayward might be worse contract in baseball? And they have literally traded away their whole farm and have very little to show for it except a ring. A lot of pundits are calling the new luxury tax rules a de facto salary cap, so I don’t think you can really call their budget unlimited. Not to mention they are going to have a couple mega contracts coming up as their best players get into arbitration. The newer draft and international spending rules also hobbles their ability to dominate the market with money like they could have in the past. They can still spend about $60-$70 million more a year than the Reds, but the amount of mistakes they can buy their way out of is more limited than it was in the past. It’s still a big enough gap that the Reds have 0 margin for error though. Prospect lists didn’t exactly exist until the 90’s. The 1st Baseball America Top 100 came out in 1990 I believe. And for a while they were the only place doing it. Then a few other places started doing it. Now, going back in time is a very tough thing to do. At one point in time we could browse past scouting reports on well known players through the HOF website, but they’ve since taken that down and have no put it back up. Which is unfortunate. Looking back at the stats, though, we can probably take a few things from it: They would have ranked well. Tony Perez, for example, between AA/AAA as a 21-year-old, hit .316/.379/.547 back in 1963. The next year in AAA he hit .309/.374/.597 with 34 home runs. While it was the PCL, and I don’t know exactly how their home ballpark played that year, his power was on a different level than the rest of his team and he was one of four players in the league to hit 30 home runs. George Foster would have been an interesting case to go back in time and talk to people about. I’m sure he showed plenty of raw power, but he didn’t really show a ton of power in the minors. For the time, it was good power, and he had a good average along the way. He was in the Majors at 22 for a full season. I’d guess that he probably would have been a quality organizational prospect (say, Top 5 type), but maybe not a Top 100 type. I agree with your assement of the Phillies and Brewers system being a little overrated and think that you could pick any of the 6-10 and randomly rank them and not get much of an argument. Nice to see the Reds accumulate so much talent……it’s been a while! What concerns me is that you can’t play them all, that this talent is spread out across multiple levels and not being concentrated at the big league level. To that end, I think we should leverage/package some of these tier 2 types (Santillan/VGutierrez/Long/Siri/Garrett/Reed/Herrera) along with a Hamilton or Duvall to upgrade the major league roster and accelerate the rebuild. Seeing how little is being given up in trade this offseason, I know we have the talent to pull off something significant. Senzel/Greene/T.Stephenson are my only near untouchables. I personally just love how much depth this team has on every tier. Lots of teams have one or two guys that look like great players, but few have as many as the Reds and then lots of tier II guys. Add that in with a lot of high upside players in tier III, along with the youth on the ML roster, the Reds are in a better position than some give them credit for. I dream of a day where Hunter Greene throws 9 shutout innings along with back-to back-to back doubles from Jesse Winker, Nick Senzel, and Joey Votto :’). I agree with you redlegs. The Reds depth is what is not being taken into consideration here. I strongly believe this system is deeper than it ever has been and it will show this summer and then again next winter when in spite of the graduations of Senzel, Mahle and Winker the system will be considered stronger due to the performances of Gutierrez, Siri, Stephenson, Trammell and others. Lets add to that dream. Game 7 of the WS. Being ranked 9th best system is kind of hollow after losing 90 games 3 straight years. The Reds are trying to build through their prospects and it looks like they are coming up short. 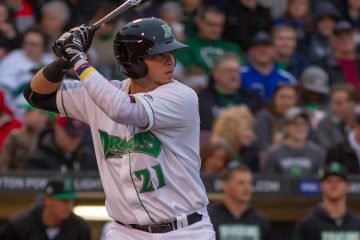 They are ranked 9th after graduating two former Top 100 prospects, Sal Romano AND Luis Castillo last season. And none of that includes Schebler or Duvall. I’m not really sure I’d call that coming up short, so to speak. The Reds were in the same position last year before the graduation. It is not like other teams are not having players graduate. If the Reds organization keeps grading out 9-15 every year they are not going to be competitive. A guy like Hunter Greene is unlikely to play with many guys that are on the Reds today. Yes, other teams also graduated prospects. How many other teams in the top 10 graduated multiple Top 100 guys last season? Have to be concerned if you are a Giants fan. Limited at big league and minor league levels. They need to go for it. Trade Ramos and change for billy and Duvall. Then go sign Arrieta and Holland. Super expensive band aide but literally addresses all needs and buys em a couple years to complete. I don’t think Reds would be interested in a trade as stated. Ramos and some for Hamilton and some. Then I turn around and trade Ramos & some for Marlins CF. Sixpack, if the Reds could trade “Ramos and some” for Yelich, then San Fran wouldn’t go after Hamilton but would just trade directly with the Marlins for Yelich (which it seems like they are trying to do) However, Yelich > Ramos > Hamilton. That’s why San Fran probably doesn’t have enough for Yelich, and San Fran won’t give up Ramos for Hamilton (unless they get desperate, and they might). With the Reds drafting second in each draft round for the lady two drafts, and 11th in 2015, they should have a higher ranked system. That 2014 draft for the Reds set the team back a step.